January is a time for goal-setting and making those long-held travel dreams a reality. This is the time to start saving and making tentative plans for one of your long-held dream trips. Now — if you have a specific, long-held travel dream, that’s what you should prioritize! I always encourage people to go after their biggest travel dreams. But if you need a little nudge from me, here are some of my top picks for 2017, one for each month of the year. Why? 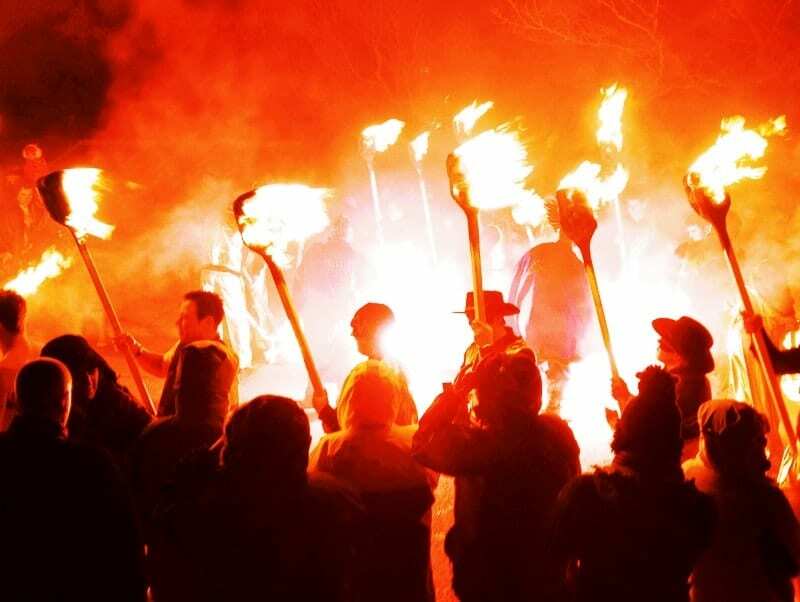 Up Helly Aa, one of the world’s wildest festivals, takes place on the last Tuesday in January. When people ask me about the best things I’ve done while traveling, I always mention Up Helly Aa. To this day, I consider it one of the coolest things I’ve experienced and one of my best travel memories, if not the best. Imagine a festival of fire and Vikings and costumes and performances and dancing to traditional music until 8:00 in the morning! I joined Haggis Adventures’ Up Helly Aa tour (where they hosted me in exchange for coverage). If it’s too late to sign up now, I recommend signing up for next year! Shetland struck me with its raw, remote, jagged beauty, shaped by cold temperatures and strong winds. And “quirky” is too gentle a word for Lerwick, where the accents are barely understandable and the men threw things at me in the bar to get my attention. I loved every minute of my time there. Where to go: The biggest celebration is in the capital of Lerwick, but smaller Up Helly Aa celebrations take place throughout the islands. Be sure to take the time to explore Shetland as well. There are lots of beautiful views around Scalloway and my favorite stop was the double beach en route to St. Ninian’s Isle. Why? 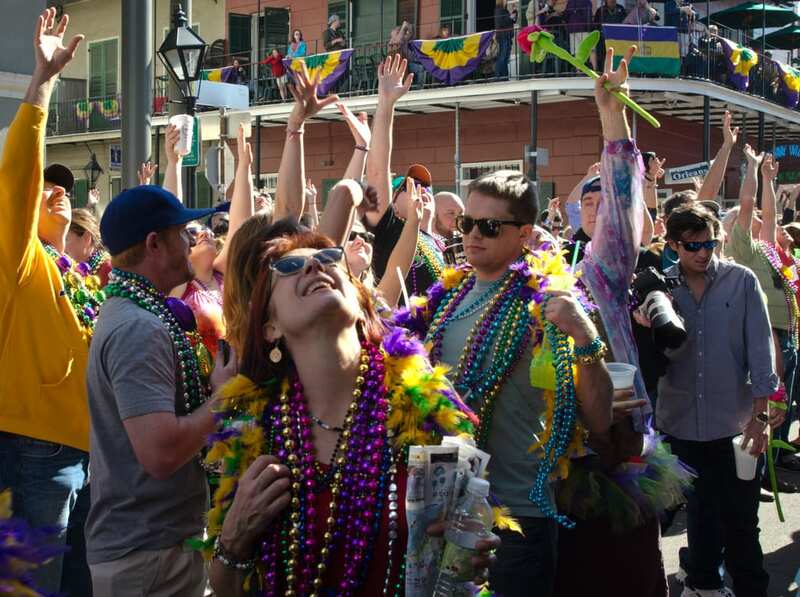 There will be a month of Mardi Gras celebrations in February 2017, and destinations beyond New Orleans need your tourist dollars. Mardi Gras takes place on February 28 this year, and that’s when the biggest celebration takes place in New Orleans. But many New Orleans locals prefer to head to carnivals elsewhere in Louisiana. These local celebrations mostly take place earlier than Mardi Gras itself, making it a month full of celebrations. You can find a schedule here. Louisiana was subject to severe flooding last year, which was concentrated in the regions surrounding Baton Rouge and Lafayette. While the flooding is over now, the economic impact is still taking place and the region could use your tourism dollars to help recover. (Not to mention the fact that many places outside New Orleans are still struggling to recover from Hurricane Katrina.) The best way to do this? Road trip! Louisiana is a beautiful state and it’s home to unique culinary traditions you won’t find anywhere else in the United States. Go for the parades; stay for the gumbo and boudin and beignets. Where to go? In my time in Louisiana I only visited New Orleans and Oak Alley Plantation, both of which I highly recommend, but Baton Rouge and Lafayette are quirky cities that deserve your attention. Jean Lafitte National Park is a great place to check out the state’s beautiful swamps. And Grand Ile is the state’s only inhabited barrier island and a wonderful base to explore the outdoors. Why: Incredible weather in a dreary month in a destination on the verge of change. Nicaragua is my favorite country in Central America and it’s a wonderful place to escape the doldrums of winter. March is one of my favorite months to escape to somewhere warm — spring might be around the corner, but by then you are just sick of the cold and are craving sunshine! In March, Nicaragua is hot, sunny, and very cheap. Nicaragua is also on the precipice of transition. The Chinese have been planning on building a canal through Lake Nicaragua, though the project has been postponed many times. As soon as that happens, it’s going to destroy much of the beautiful coastline and change the country’s atmosphere. Furthermore, Little Corn Island is also changing at a rapid pace. What was once a nearly unknown island is becoming increasingly traversed and that could lead to it losing its desert island feel. In other words, go now, go now, go now before it changes too much. Where to go: Nicaragua has so many amazing destinations and one you should skip (Managua, the capital). Granada is a beautiful colonial town and the nearby Laguna de Apoyo is the perfect escape from the city. León in the northwest is a wild, vibrant, traditional city. 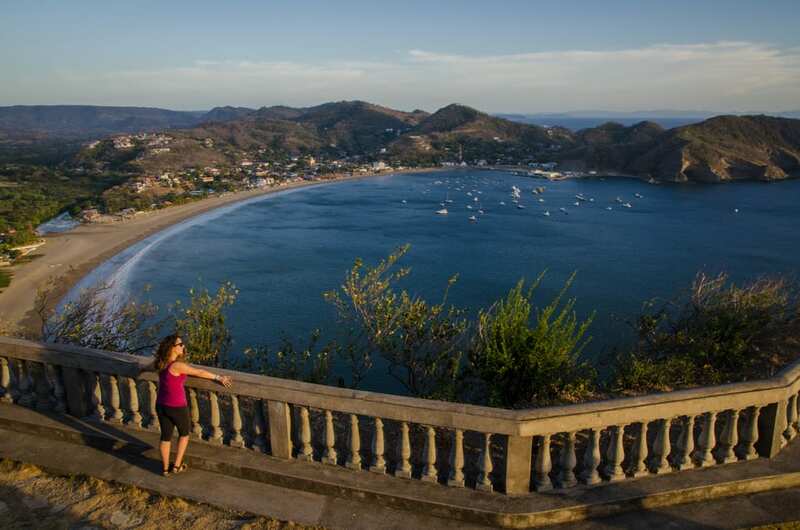 San Juan del Sur is a colorful party town. Ometepe, an island in the lake, is a peaceful, serene getaway. And perhaps my favorite is Little Corn Island in the Caribbean. 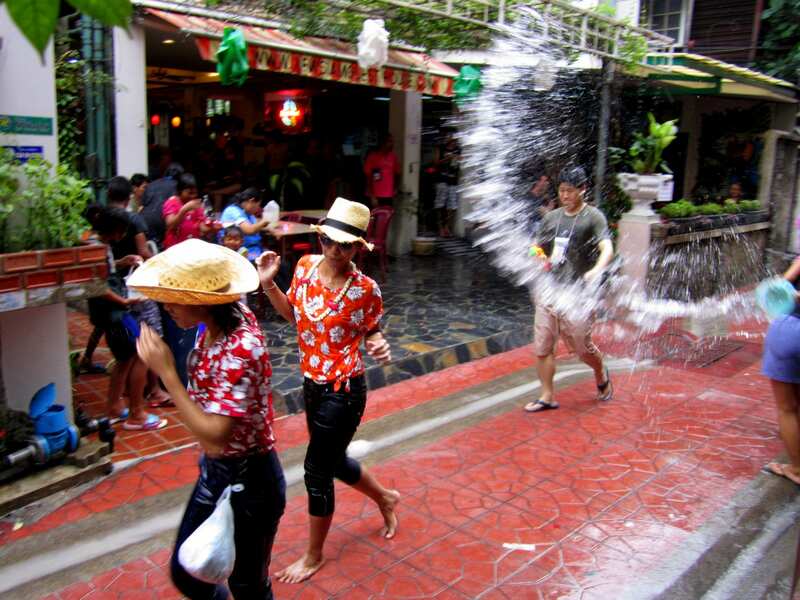 Why: Songkran, a three-day water fight throughout the country, takes place April 13-15. April is the month when Thailand shifts from the cool season to the hot season — and there’s no better way to welcome that heat than with a three-day water fight. Songkran, Thai New Year, takes place in April and I’ve never seen a country drop everything to have a water fight! Thais wear flowered shirts, sit in the back of pickup trucks, and drive around shooting everyone they see with super soakers. Tuk-tuks are doused in buckets of water. Everyone from kids to adults gets involved in the celebration! Nobody is off limits during Songkran (except monks and the elderly). Just walking down the street will get you attacked with a deluge by Thais who love to joyfully assault the visiting farangs (foreigners). I love this because everyone is in the same boat and you don’t need to speak the same language to share an experience with locals! Songkran, along with Up Helly Aa, is one of the best festivals I’ve ever experienced around the world, and I recommend you go at least once in your life. Where to go: I highly recommend spending Songkran in Bangkok with a focus on the neighborhoods around Khao San Road and in Silom, but many of my friends swear that it’s better in Chiang Mai (where people even attack from the moat!). I suggest spending the three days in either of those two cities, then continuing your Thai travels elsewhere. If you want to add beach time, go to Krabi Province and my favorite island in the world, Koh Lanta; if you want a funky little mountain town near Chiang Mai, go to Pai. Why? As close as you can get to perfect weather all the way up and down the coast — with the added bonus of whale sharks at Ningaloo Reef. If you like off the beaten path destinations and great Instagram shots, you will LOVE Western Australia. WA is one of the best photography destinations I’ve ever visited and I was struck by its desolation and beauty. The landscape is so varied and the people are so friendly. WA is also a behemoth of a region — it’s roughly one third of Australia! So it’s hard to find one month where you have decent weather throughout the region. My October trip was pretty good for weather timing; May has similar temperatures. But May has the added bonus of being in the heart of whale shark season at Ningaloo Reef. Ningaloo Reef is much closer to shore and far less trafficked than the Great Barrier Reef and it’s home to some of the best snorkeling I’ve ever experienced — adding whale sharks to the mix would make it even better! Where to go: You will likely arrive in Perth, and take time to explore the city and get out to Rottnest Island for quokka selfies. 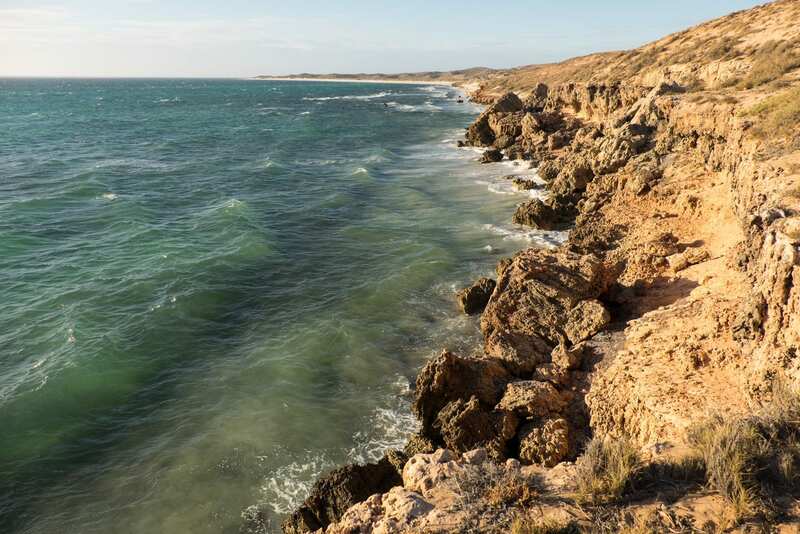 A road trip to Coral Bay should be your big goal, as Ningaloo Reef is nothing short of spellbinding, and there are lots of stops along the way like the Pinnacles Desert, Kalbarri, and the Shark Bay region. But if you want something really special, head to Karijini National Park. Alternatively, Broome and the Kimberley are still in dry season during this time of year. It will be chillier on the southern coast, though. Why? It’s never been cheaper to visit, there’s truly something for everyone, and you’ll have some of the best weather of the year in June. Following Brexit, the pound fell significantly in value, making Britain the cheapest it’s been in my lifetime. It used to hover around $1.55 to the pound; these days it’s $1.23 to the pound. This is bad news for Brits and those who earn in pounds (myself included), but it’s good news for international visitors who want to visit Britain. Living in Britain for a few years helped me realize that this country is so nuanced and far more diverse than you think. The biggest mistake international travelers make is thinking that Britain = London. That couldn’t be further from the truth. This country is filled with plenty more funky cities, gorgeous landscapes and interesting small villages. And the food happens to be fantastic — especially when it comes to local meats and cheeses and decadent desserts! The weather is hit or miss, but in June you’ll likely have more hits than misses. Where to go? London is wonderful, but don’t overlook other English destinations. Liverpool is a cool city; York is a magical town; the Lake District and the Cotswolds are fantastic countryside spots. 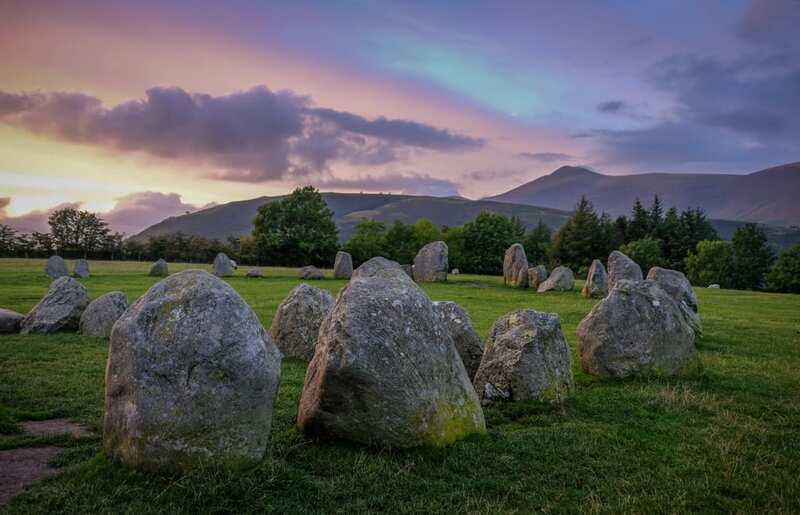 In Wales I recently road tripped through the south (don’t miss the used bookstore paradise of Hay-on-Wye or the pretty seaside town of Tenby); in the north, Snowdonia National Park, Conwy, and Llangollen are wonderful. Scotland is brimming with wonderful destinations, from Edinburgh to the Highlands to Shetland (once again!). I particularly love the Isle of Skye and hope to visit the Outer Hebrides soon. And don’t forget that Northern Ireland is on the pound too! The Causeway Coast is indescribably beautiful. Why? New England might be frigid for most of the year, but summer is when this region comes to life. Coastal New England is such a large region — it extends from Connecticut’s hemmed-in coastline to Rhode Island, Massachusetts, a sliver of New Hampshire coastline, then onto Maine. I find it best to explore this region on a road trip — you could cover so much ground! But wherever you go, you’ll find beautiful small towns with excellent seafood, beautiful beaches, and people enjoying the glorious summer. Eat lobster rolls on a bench by the beach. Catch a baseball game — Red Sox, minor league, or something local. Browse antique markets and culinary shops. Time your visit during the Fourth of July for fireworks, parades, and other small town celebrations. But anytime in July is beautiful — just know that you’re in the thick of high season and will experience a lot of traffic! Where to go? I’m from the North Shore of Massachusetts, and I can recommend exploring the North Shore towns of Newburyport, Rockport, Salem, and Gloucester. Boston is wonderful. Cape Cod is as fabulous as people say. 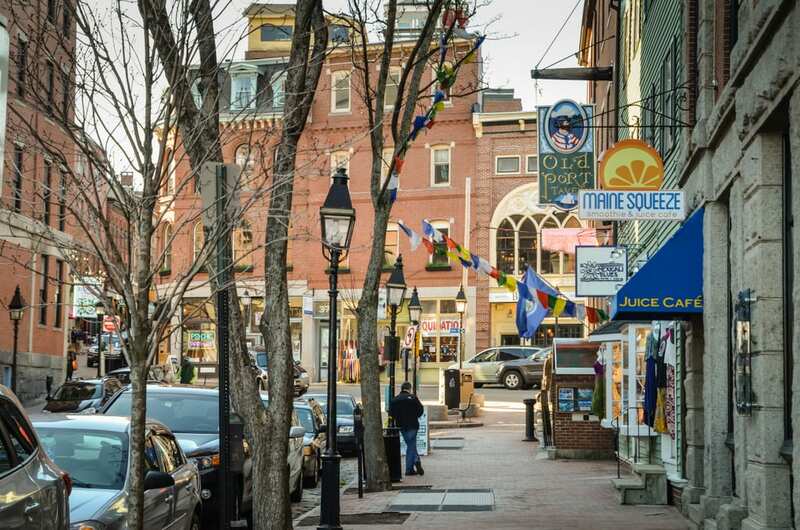 Portsmouth, New Hampshire, is one of my favorite small cities. One of my favorite restaurants in the world is the Maine Diner in Wells, Maine (if nothing else, GET THE SEAFOOD CHOWDER), and I love the towns of Ogunquit and York, though you can’t miss Acadia National Park further north. Portland, Maine, is an up-and-coming foodie paradise. And perhaps this will finally be the year that I get to Martha’s Vineyard and Nantucket! Why? Summer in the Nordics is nothing short of magical, and perhaps there’s no better place to chill out and enjoy the outdoors than Finland. On my summer trip to Finland a few years ago, I enjoyed perfect 82-degree (28 C) days, bike rides through the woods, kayaking trips across lakes, and late nights roasting sausages by the campfire. 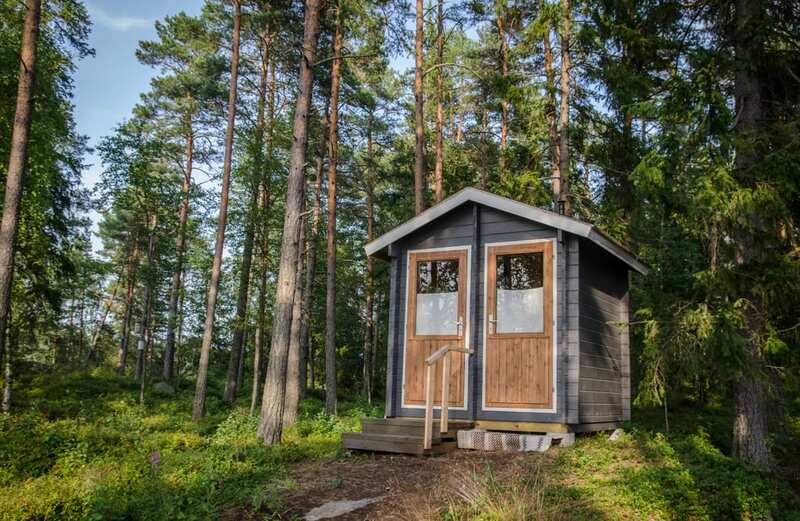 Most memorably, I went sauna-hopping and skinny-dipping under the midnight sun. How wonderful does that sound? That’s exactly how summer should be! Finland is an offbeat destination in the Nordics and my personal favorite country in the Nordics. Soon, you’ll realize that Finns are among the most physically active people you’ve ever met (and also happen to drink a ton of coffee — these facts may be related). ATMs are available but uncommon; people love to use plastic. And reindeer is a delicious staple on the menu. Finland is full of surprises. And because it’s such an offbeat destination, you won’t find the hordes of crowds in other European destinations in August. Where to go? Your journey will likely begin in Helsinki, which I think is a vastly underrated city. The Lakes Region is a wonderful place to explore the outdoors; I spent time in Kuhmo. But my favorite and most surprising destination was Rauma, a small UNESCO World Heritage-listed city on the sea with a surprising amount of culture and things to do. Why? All of the heat and beauty of a summer trip with far fewer tourists. September is my favorite month to travel in Europe and the Balkans are my favorite region in the world, making this a match made in heaven. 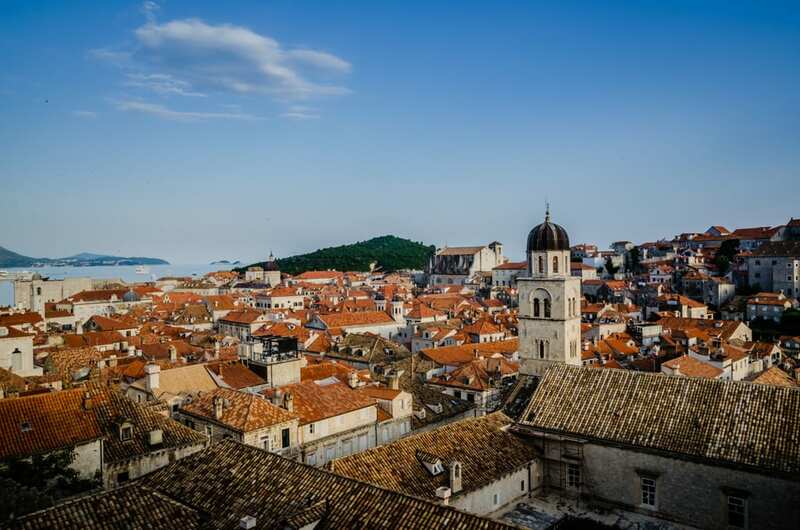 The Balkans can be incredibly crowded in the summer months, especially in cruise ship ports, but once you get to September, things slow down considerably. Also, the Adriatic takes some time to warm up but is much warmer by the end of the summer! What do I love about this region? The natural beauty, the mountains and cliffs and fjords and bright turquoise lakes. The architecture, the orthodox churches and mosques that dot the cities. The fresh seafood, cured meats and hard cheeses. And those unforgettable Croatian wines! I love the cafe culture, where everyone bursts out of their homes and walks the streets just before sunset. And in the more touristy areas, English is widely spoken. The Balkans might seem intimidating, but they are very easy to travel. Where to go? 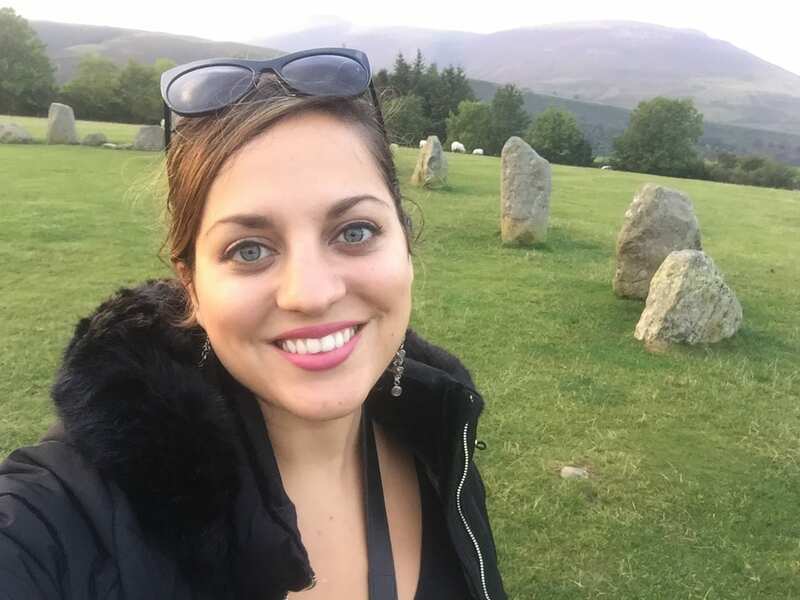 For first-timers, I recommend Croatia’s Dalmatian coast with a side trip to Mostar, Bosnia, and a little time in Montenegro — Kotor makes a great base. You could also combine Slovenia with time in Croatia’s Istria region. If you want to get off the beaten path (and spend the least money), I highly recommend Albania, Macedonia, and Kosovo. Urban junkies should know that the best cities in the region are Ljubljana and Belgrade, though I have a soft spot for Tirana as well! Why? Beautiful weather, cheap prices, pregnant animals on safari, and purple jacaranda trees in bloom. I always promote South Africa as a high value destination and this year is no different! Seriously. It might be a long or pricey flight there, particularly if you’re from North America, but once you get on the ground, your money goes so far. Take this fact: I brought home six reserve wines from Stellenbosch and not one cost more than $11. How insane is that?! I pay $15 for generic wine in New York! You can go bungee jumping, paragliding, or surfing for far less than what you’d pay in the States or Australia or New Zealand. You can have a fancy meal for a fraction of the cost of other western countries. South Africa is one of the most beautiful countries I’ve ever visited with a wide variety of landscapes, and they change quickly if you’re driving the Garden Route. I also believe that a safari is something that every traveler should do at least once, and Kruger National Park is an excellent place to go. I’ve lucked out and seen the Big Five on my two different trips to Kruger! And many of those animals will be pregnant if you go in October. But my favorite thing about October, besides the beautiful spring weather, is seeing bright purple jacaranda trees in bloom. Where to go? At the very least, go to Cape Town and go on safari in Kruger National Park. I can’t imagine a first-time trip without either of those. Beyond that, tailor it to your interests: I absolutely loved road tripping the Garden Route, Stellenbosch is a fantastic and shockingly cheap wine region, and Johannesburg is a surprisingly fun city. Off the beaten path, I really enjoyed Cintsa and the Wild Coast, which lives up to its name. 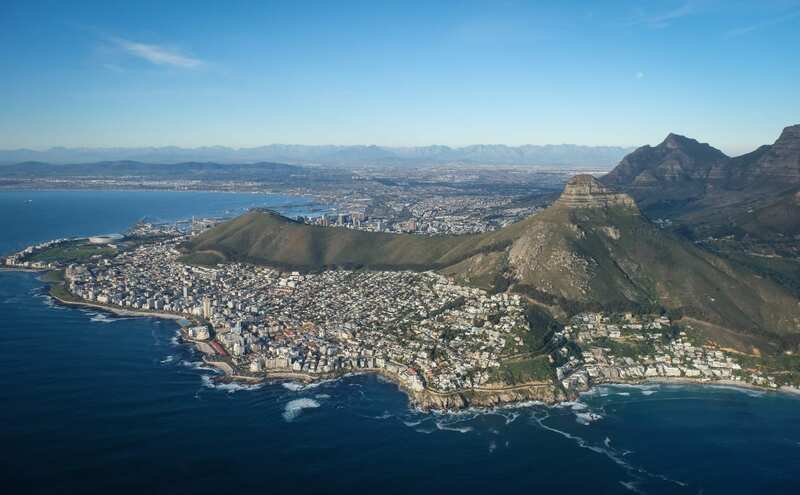 Further reading: Adventurous Kate’s Offbeat Guide to Cape Town, The Ultimate South Africa Road Trip Itinerary, Is South Africa Safe? Why? Few places are as beautiful to photograph in the fall colors as Japan — and most of Japan’s peak color hits in November. Japan remains one of my favorite countries and the single most encompassing place I’ve ever been. Literally everything is fascinating — the vending machines. The subway maps. Even the trash cans! The food is world-class and prepared with reverence, even in fast food joints. And the Japanese will bend over backwards trying to help you in every way. Japan feels more like a different world than anywhere I’ve ever been. I’ve been to Japan in the summer, but it was so brutally hot and humid that it made it difficult to enjoy being outside (especially in Kyoto, where locals walked around with towels on their heads). Spring is popular for the cherry blossom season, but fall is another beautiful time of year that gets far less press. The colors here are brilliant, as anyone who grew up with a Japanese maple in her front yard (yes, me again) can attest. Where to go? So many options! Tokyo is the incomparable city where most trips will begin. The Kansai region is home to Kyoto, Osaka, Nara, and Kobe — all interesting destinations in their own right. 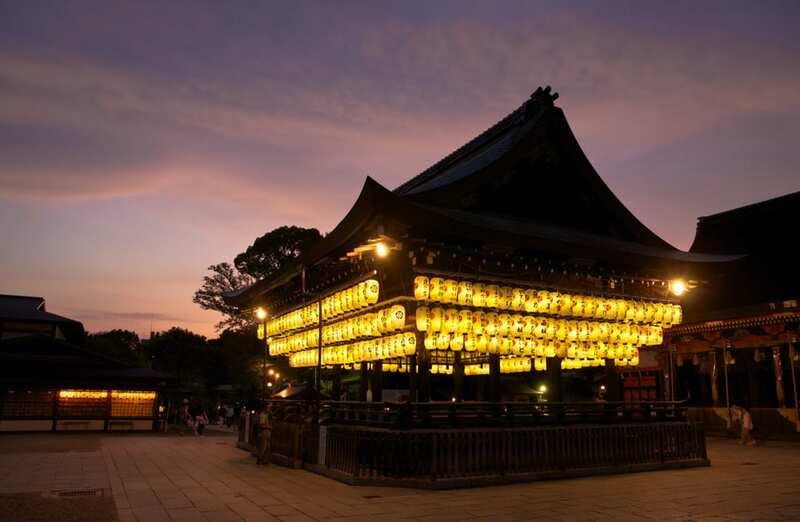 You could enjoy seaside spas in Kanazawa or the old city of Nikko. Head up north to Hokkaido (though know the leaves change much earlier here) or down south to Okinawa for something tropical. Why? Nowhere in the world does the Christmas season better than Germany. Period. 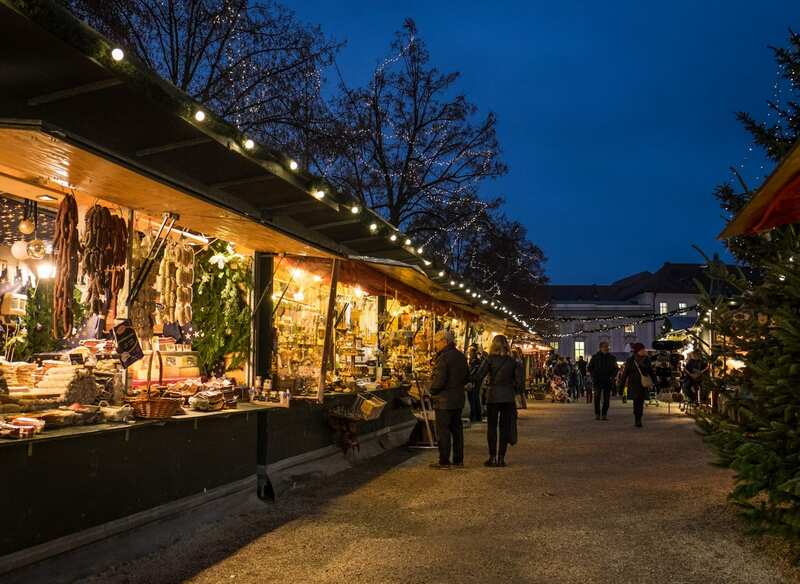 It starts in the late weeks of November but is in full swing until December 23: Christmas markets all over the country. Now, there may be Christmas markets all over Europe, but nothing compares to traditional German Christmas markets. Each night, they swell with locals and visitors, featuring delicious sausages, gluhwein (hot mulled wine), lebkuchen (gingerbread), and a variety of local dishes and pastries. Traditional handmade crafts are sold as well, and depending where you go, you could get everything from live music performances (so nice in Nuremberg) to hunky merman tree ornaments (I see you, Pink Market in Munich!). My German Christmas market trip last year was one of the best trips I took in 2016. It was a nice, relaxing week spent among locals and it made me realize that the Germans really have Christmas figured out. It’s all about spending time drinking warm beverages outside with loved ones, rather than racing around trying to get all your gifts in time. I’m already trying to figure out how I can go back next year. Where to go? I really enjoyed traveling through the Bavaria region, which is an ideal trip for first-timers. I visited Munich, Nuremberg (the best Christmas market of all), Bamberg, Regensburg, and Passau. But some other exceptional Christmas markets are in Berlin (my favorite place in Germany), Dresden, and Rothenburg ob der Tauber. Next year I’d love to travel along the Rhine and visit the markets in Heidelberg, Dusseldorf, and Cologne. 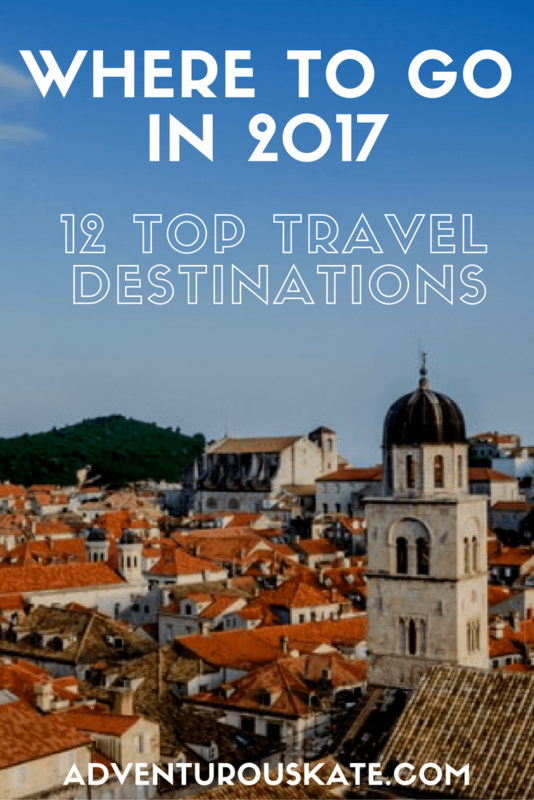 Where do you recommend going in 2017? Share away!